Hindustan Aeronautics Limited (HAL) is in discussions with Rafael Deal being out of the deal. Know the history and track record of this company. 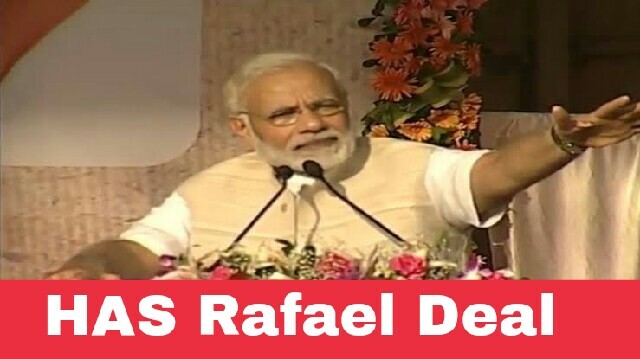 On being out of Rafael Deal, the government's largest defence company Hindustan Aeronautics Limited (HAL) is in the limelight. It is being said that due to the lack of some capabilities, the company was out of this big deal. If you look at the company's track record, it is a matter of fact that it is a company that has made the Indian Army worth flying in indigenous planes. Looking at the history of the last 77 years, HAL has set more than one record. This government company, which has made its customers as a manufacturer of aircraft for two dozen countries, including the United States, France and Israel, which is considered to be a leader in the defence sector, has so far received more than 30 awards due to its excellent work. Hindustan Aeronautics Limited, one of the country's Navratna companies, has also bagged legend PSU (Public Enterprises). The company has achieved success in exporting to more than 30 countries thanks to the quality. According to the reports, HAL has built more than 3,000 planes, more than 3400 aircraft engines and more than 2600 engines in nearly 77 years of journey. Right now, R. Madhavan, an MTech from IIT Madras, is handling charge of the director company. The talk is from December 23, 1940. At that time, the well-known spirit of the country, Walchand Hirachand, was formed, why not create such a company, which started building ships in India. With this thought, he laid the foundation of the company on December 23, 1940, with the help of the then government of Mysore with the initial capital of Rs 4 crore. In 1941, the Indian government bought one-third of the shares. And in 1942 took complete management in his hand. Then in collaboration with the US Inter Continental Aircraft Company, the company started making Hawk Fighter and Bomber Aircraft. In 1945, the company was given the Ministry of Industry and Supply and again in January 1951 under the Ministry of Defense. In August 1951, the company was created by designing the HT-2 trainer aircraft. For the first time, this aircraft made by its director, Dr. VM Ghatge, achieved success in flying. After this, the company has supplied nearly 150 trainer aircraft to the Air Force. Then this company has created two-seater Pushpak, Farmer, Jet Fighter Marut and Jet Trainer Kiran. Meanwhile, in August 1963, Aeronautics India Limited (AIL) came into existence to make MiG 21. In June 1964, the government merged Hindustan Aircraft Ltd. with Aeronautics India Limited. Thus, Hindustan Aeronautics Limited was born. This merger happened on October 1, 1964. Then it got the name of Hindustan Aeronautics Limited. The company's main work is to repair, design, manufacture, repair and repair the aircraft, helicopter engine. Hindustan Aeronautics has created many spectacular helicopters, which are very useful for the IAF. In this Dhruv helicopter is a Bahudian helicopter from India. Israeli countries have also bought this aircraft from India. HAL Rudra is an armed version of HAL Dhruv. Similarly, HAL created a fighter aircraft called Tejas. During the Goa sea level flight test in December 2009, Tejas flew over 1,350 kilometres per hour. This is the first supersonic fighter aircraft made in the country. In 1970, HAL opened a special unit in Bengaluru to build Chetak and Cheetah helicopters in collaboration with M / s SNAS. According to company sources, HL has so far made 31 types of aircraft, 17 aircraft of indigenous design, in which Sukhoi 30 MKI is the frontline fighter aircraft of Indian Air Force. HAL made this aircraft in collaboration with Russia's military aircraft manufacturer Sukhoi. It is a special thing that the Sukhoi 30-MKK and MK2 aircraft of this Sukhoi Series have been sold to China and Indonesia. Whereas MKM, MKV versions have been bought by Malaysia, Venezuela and Algeria. For the first time in the year 1997, the Sukhoi aircraft flew for the first time and in 2002 it was included in the Indian Air Force fleet. Since 2004, Sukhoi planes are being manufactured in India only by Hindustan Aeronautics Limited. This is the fourth generation fighter aircraft. Which is replacing the MiG planes? At present, this government company is producing Sukhoi SU-30 MKI, Dhruv Dhruv-ALH, Chetak Cheetah helicopter. Work of repairing of Jaguar and MiG is also underway. The special thing is that this government company is also helping the Indian space program go ahead with the aerospace division. The company is also working in the direction of Satellite Launch Vehicle. There is a special emphasis on making HAL Light Combat Aircraft and helicopters. To complete all the projects within the stipulated time frame, the company has established a total of 11 research and development centres including Bangalore, Hyderabad, Nashik, Kanpur, Lucknow, Korapat and Corva. HAL has prepared a group of international customers on its own merits. Airbus Industries France, Boing USA, Coast Guard Mauritius, ELTA, Israel, Israel Aircraft Industries, Ruag, Germany C, Rosoboronexport, Russia, Turbomeca, France, Rolls, which exports plenary materials to more than two dozen countries. Royce Plc, UK, Honeywell International, USA are clients. HAL has received many awards. The International Center for Information and Marketing awarded M / s Hindustan Aeronautics Ltd. in the combination of M / s Global Ratings, the UK with the International Gold Medal at the International Summit held in 2003. Apart from this, the company has got the legend PSU award in 2013 from Navratna companies of the country. The company has received a national and national award in the field of Research and Design, Technology, Management, Exports, Energy, Quality. In the 2015-16 Excellence Performance, the Defense Ministry Award has been received by the Ministry of Defense in 2007-08, 2009-10, 2010-11 to 2012-13 and 2015-16, in Excellence in Performance.